Overweight women after menopause who eat a Paleolithic diet can maintain weight loss in the long term. The levels of risk factors of type 2 diabetes and cardiovascular diseases also decrease. This according to a study at Umeå University in Sweden. “The results are remarkable. Despite giving the women free reigns to an unlimited intake, the weight loss was stable after two years. A more significant fact than weight loss was the evident improvement in levels of fat in the blood, and signs of reduced inflammation,” says Caroline Blomquist, doctoral student at the Department of Public Health and Clinical Medicine at Umeå University. In her doctoral dissertation, Caroline Blomquist has spent two years following a group of 70 postmenopausal women with a body mass index exceeding 27, that is, overweight women after menopause. Half of the women held a diet according to Nordic Nutrition Recommendations whilst the other half followed a Paleolithic diet. Neither groups had any specific restrictions in the amount they were allowed to consume, the restrictions solely revolved around the composition of the diet. The follow ups took place after six months and again after two years. The results show that both groups lost weight. 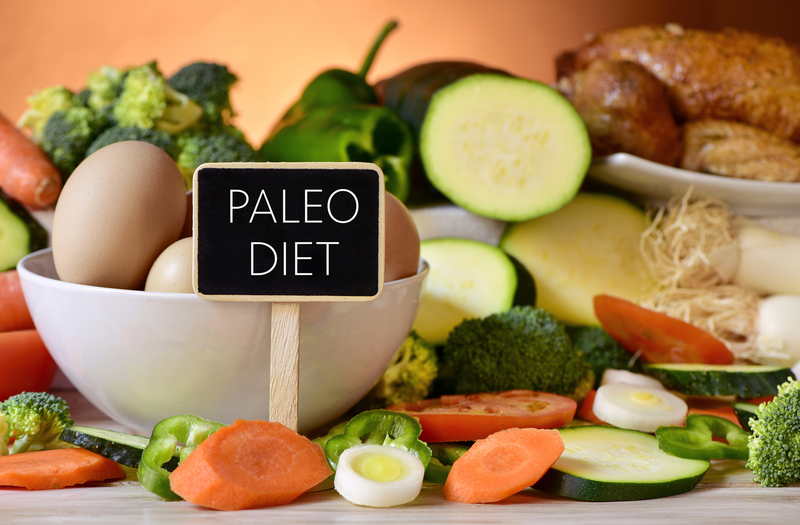 The women who had kept to a Paleolithic diet on average dropped from 87 to 78 kilos, compared with a drop from 86 to 80 kilos for the group that followed the Nordic Nutrition Recommendations. The weight loss in both dietary groups also contributed to reduced inflammation in both fat tissue and in the circulation. The women who followed the Paleolithic diet had a significant reduction in unhealthy abdominal fat. In particular, evidently reduced levels of certain fatty acids and blood fats could be seen, which is of importance to the development of type 2 diabetes and cardiovascular disease. You could also see that the enzymes involved in fat storage were less active in the Paleolithic group. “In conclusion, the study shows that the Paleolithic diet with a high proportion of unsaturated fats was healthier for this group of women, even if the Nordic Nutrition Recommendations also had positive health effects,” says Caroline Blomquist. The Paleolithic diet is characterised by a high intake of protein and unsaturated fats and has a low glycemic index. The diet consists mainly of vegetables, lean meats, fish, poultry, eggs, shellfish, seeds, nuts, oils and fruit. The biggest difference to the Nordic Nutrition Recommendations is that the Paleolithic diet excludes cereals, milk, refined sugars and added salt. Postmenopausal women have an increased risk of obesity, for instance due to the reduction of oestrogen production in combination with an elevated energy intake and reduced physical activity.